Home HEALTH & MOTIVATION IS DRINKING MAKING YOU FAT? In a society where drinking alcohol is so commonplace, this is a hot topic that many guys at the gym try to ignore. We asked Vitalstrength sports scientist Paul Haslam to help us to uncover the truth. Many people believe that the infamous “beer belly” is caused by excess alcohol calories being stored as fat. However the major issue is not that drinking alcohol is being converted directly to fat it is more that drinking alcohol reduces the amount of fat your body is able to burn for energy. This is because it becomes the first fuel that is used before carbohydrates, fats and protein, which delays fat metabolism. Your bodies’ response to alcohol is very similar to the way it deals with excess carbohydrate. Although carbohydrate can be converted directly into fat, one of the main effects of overfeeding with carbohydrate is that it simply replaces fat as a source of energy. A study published in the American Journal of Clinical Nutrition, shows that even a very small amount of alcohol has a large impact on fat metabolism. Eight men were given two drinks of vodka and lemonade separated by 30 minutes. Each drink contained just under 90 calories. Fat metabolism was measured before and after consumption of the drink. For several hours after drinking the vodka, whole body lipid oxidation (a measure of how much fat your body is burning) dropped by a massive 73%! 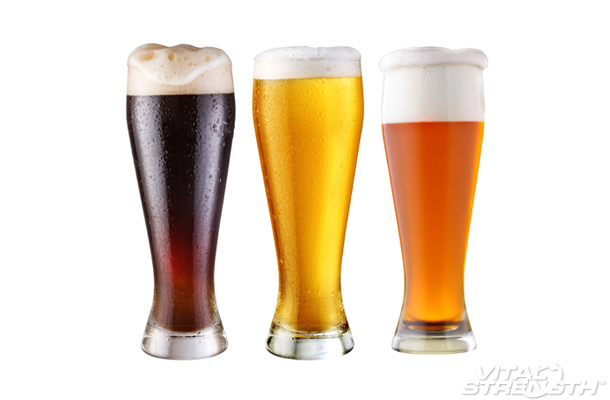 Here’s why… Rather than getting stored as fat, alcohol is converted into a substance called acetate. In the study blood levels of acetate after drinking the vodka were 2.5 times higher than normal. It appears this steep rise in acetate significantly reduces the rate at which you body can burn fat. Consequently, when acetate levels rise, your body simply burns more acetate, and less fat.